The online version of this article ( https://doi.org/10.1007/s10557-019-06881-1) contains supplementary material, which is available to authorized users. 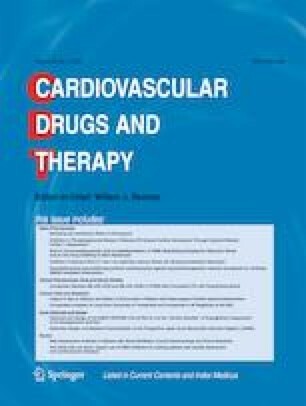 Recently, transcatheter ablation of atrial fibrillation (AF) has been validated by international societal guidelines as a technique suitable for both treatment and secondary prevention of paroxysmal, persistent or persistent long-lasting AF in highly symptomatic patients in whom at least one antiarrhythmic drug has been tested . Moreover, in the last period, there have been numerous attempts to make the technique in question as feasible and effective as possible with the addition of further technological innovations such as cryoablation . However, recently, dissonant voices have arisen. In particular, the preliminary results of the CABANA trial  have outlined that the use of AF ablation compared with simple antiarrhythmic pharmacotherapy in patients with heart failure (HF) does not result in an improvement of the composite endpoint consisting of death, disabling stroke, severe bleeding, and cardiac arrest, on the basis of the intention to treat analysis. Besides, my present reflection addresses another aspect that is not known or not adequately valued, namely the importance of the clinical-echocardiographic phenotype in determining the severity of the hemodynamic and clinical repercussions of AF. The results of the ESC HEART FAILURE LONG-TERM REGISTRY, a large prospective cohort study published in December 2018 , would show that a significantly higher adjusted long-term hazard ratio for all-cause death, HF hospitalizations, and the composite of all-cause death or HF hospitalizations is noticeable in the case of AF concerning mid-range (HFmr 40–49%) and preserved (HFpEF ≥ 50%) ejection fraction (EF). Instead, AF does not seem to be associated with any worsening of these endpoints when comparing patients with heart failure with reduced (HFREF < 40%) EF with or without acute or chronic AF. The fact that AF is not really harmful in patients with HFREF, as not associated with significantly worse clinical endpoints compared with HFREF in sinus rhythm, paves the way for the operative option to avoid the rhythm control strategy and therefore also the AF ablation in HFREF, and to aim rather at a rate control strategy with negative dromotropic agents such as digoxin or beta-blockers at adequate doses in combination with rigorous anticoagulation. In other words, judging from the comparison of clinical outcomes in HFREF patients respectively in sinus rhythm or with AF , an obstinate strategy of retrieval of sinus rhythm does not make much sense in this subset [4, 5]. The indication to leave this category of patients in AF because there is no evidence that for them the restoration of sinus rhythm provides tangible clinical benefits should therefore be included in a revised and updated version of the AF guidelines. This conservative approach would lead to very relevant changes in the clinical and therapeutic management of AF, really restricting the practice of AF transcatheter ablation in HF patients exclusively to the HFmrEF and HFpEF categories, within the limit of the cases of failure of or intolerance to antiarrhythmic drug therapy. On this subject, which is still controversial for some aspects, the arrangement of a well-reasoned and articulated debate could be very useful. Poole JE. Catheter ABlation vs ANtiarrhythmic Drug Therapy in Atrial Fibrillation – CABANA. Communication presented at the ESC Congress, Munich, Germany, August 26, 2018(abstr.). Available at https://www.acc.org/latest-in-ardiology/clinicaltrials/2018/05/10/15/57/cabana. Accessed 20 Sept 2018.